This model policy was developed by the Pennsylvania Youth Congress. It is largely based on elements from the policies already adopted in Pennsylvania districts. Ultimately, those policies were informed by numerous successful policies that have been adopted across the country. In 2013, GLSEN and the National Center for Transgender Equality re-issued general guidance and model language for comprehensive transgender student policies, which can be accessed here. 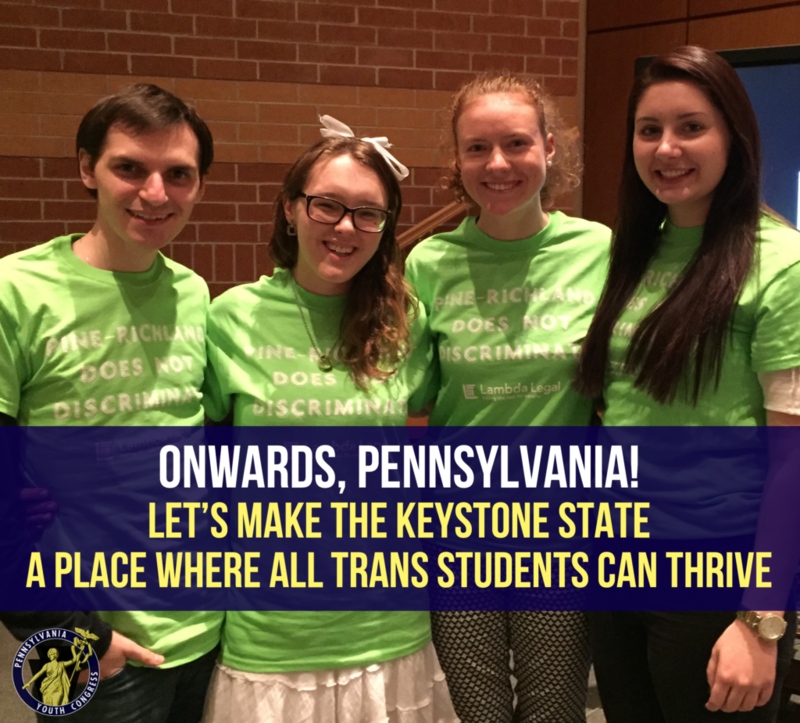 The Dignity for All Pennsylvania Model Policy is additionally influenced by this national guidance from GLSEN and NCTE. The Pennsylvania model policy is meant to be a guide for districts to consider adopting. We highly encourage school districts interested in adopting this policy to contact the Dignity for All project of the Pennsylvania Youth Congress to discuss the intention behind how each section was crafted. We can provide information regarding the development and enactment of each section with school districts administrators and board members. A successful policy will be a comprehensive one. It will cover critical areas of a transgender student’s experience, from academic records and dress code to bathrooms and school trips. A policy that only address a few of these critical issues can leave major lingering questions in daily activities, potentially opens a school to liabilities because of an interminable policy, and can confuse students and school staff alike. The model policy below includes these important areas.